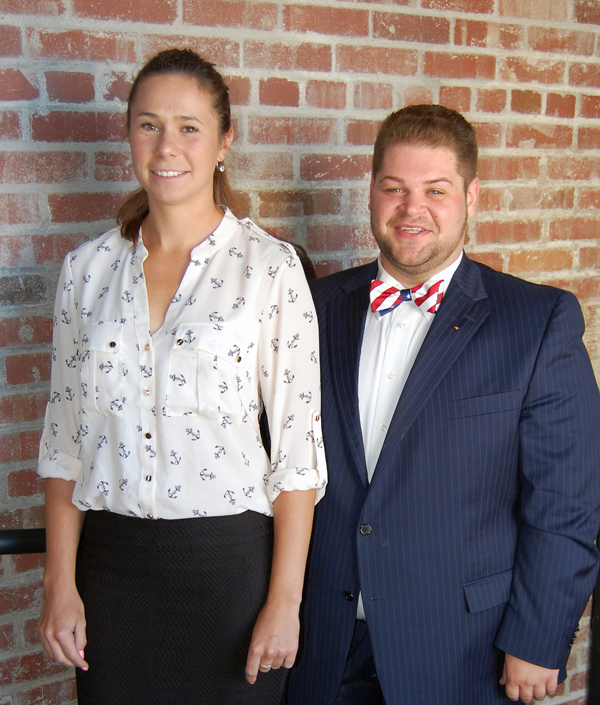 Dominika Lackova, left, of Bratislava, Slovakia, and Corey Patrick of Struthers are Monus Fellows. Dominika Lackova and Corey Patrick, senior business majors in the Williamson College of Business Administration at Youngstown State University, have been selected as the inaugural Monus Entrepreneurship Fellows for the 2016 summer and fall. The Monus Entrepreneurship Fellows program, in partnership with the Youngstown Business Incubator, provides students interested in entrepreneurship with the opportunity to gain hands-on experience with local entrepreneurs. The Monus Entrepreneurship Fellowship Program is funded through the Nathan & Frances Monus Entrepreneurship Fund. Betty Jo Licata, WCBA dean, said the college is pleased to be able to invest funds that support the entrepreneurship goals of our students. Dominika Lackova of Bratislava, Slovakia, is a senior Business Economics major with a minor in Entrepreneurship. She is a member of Omicron Delta Epsilon, the International Honor Society for Economics, and a member of the Women’s Tennis team at YSU. She hopes to one day be an entrepreneur, and this opportunity to work with entrepreneurs and the YBI will provide her with many skills to do so. Corey Patrick of Struthers is a senior Finance and Marketing double major, Entrepreneurship minor. Patrick recently completed a Financial Advisor Internship this past summer with Edward Jones Investments. He formerly served as the President of Enactus, a student entrepreneurial organization on campus, as well as a WCBA Representative on the Student Government Association. He is a member of the WCBA Student Leadership Council, captain of the YSU Yacht Club, CEO of Penguin Creations, a student-run 3D Printing non-profit business, and vice president of Programs of Sigma Tau. He recently finished his third semester as a Beeghly Fellow. He aspires to work in real estate development upon graduation.